Biggio should have friggin been elected last year but as I write this he's still on the bubble with Hall voters becoming stupider and stupider by the second. For the record, Piazza, Raines, Bagwell, Bonds, Clemens and yes, Jack Morris should have been elected last year too and if any of them had we would not have this ridiculous voting backlog right now but that's how the mop flops. 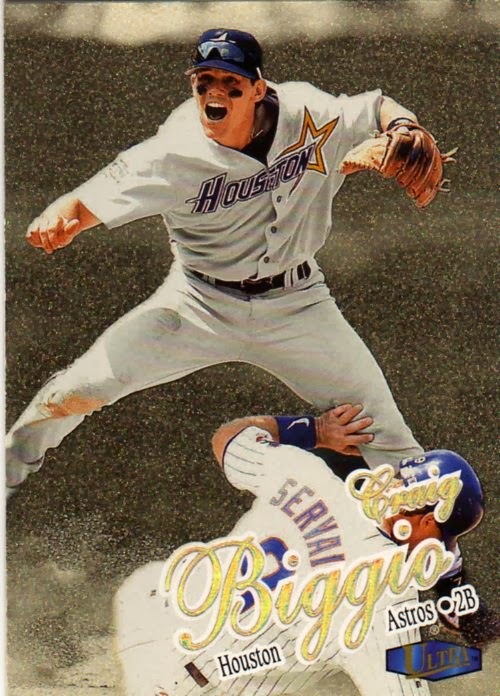 Seeing as how we're getting Randy Johnson, Pedro Martinez, John Smoltz and Gary Sheffield on next years ballot FOR STARTERS, I really hope Biggio isn't out there soaking up more votes for desperate candidates on a complete debacle of a ballot. 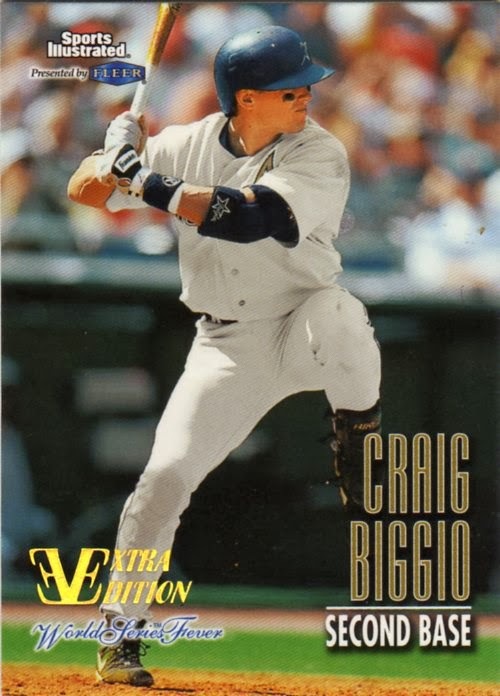 If you say the words "Craig Biggio" this is the card I will immediately think of without exception. 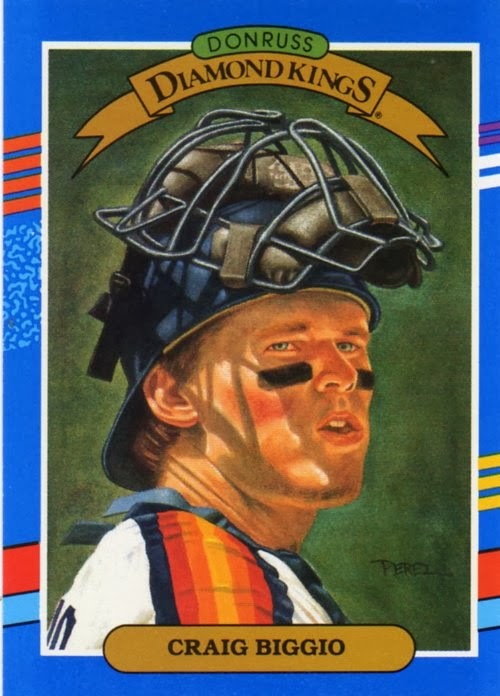 1991 Donruss is a horrible set, but this is a beautiful card. Ultra Gold Medallion double play leaping card. With an ex-Astro on the card no less. This card from an obscure late '90s set may not seem Mojoriffic at first glance but cards serial numbered to under 100 (98 in this case) from back in the day are not at all easy to find. Sure, it's maybe only a 10-15 dollar card but good luck finding it. That '91 Don is probably the best Perez painting ever. Looks awesome with that border, too. Very relieved to see him get in.